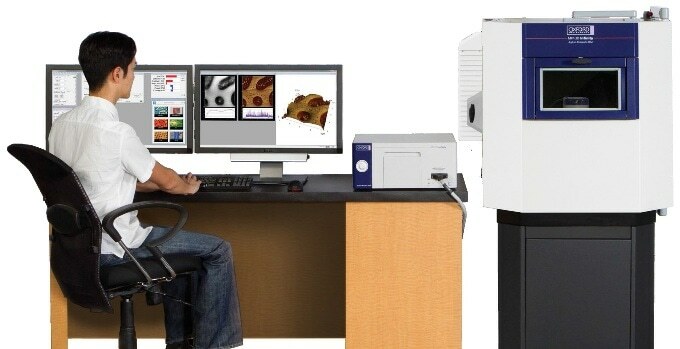 The Asylum Research MFP-3D Infinity™ is the most enhanced AFM in the MFP-3D family. 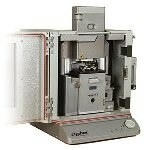 It offers the widest range of capabilities, high performance and an improved system architecture designed for future expansion. 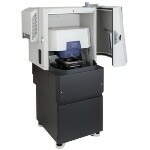 The MFP-3D Infinity makes regular imaging tasks easy and fast to complete, while continuing to provide the flexibility and power to support the most ambitious research projects. Atomic steps imaged on gypsum. Surface reconstruction was imaged in tapping mode in air after brief exposure to water. Z sensor topography data is shown, 45 μm scan. 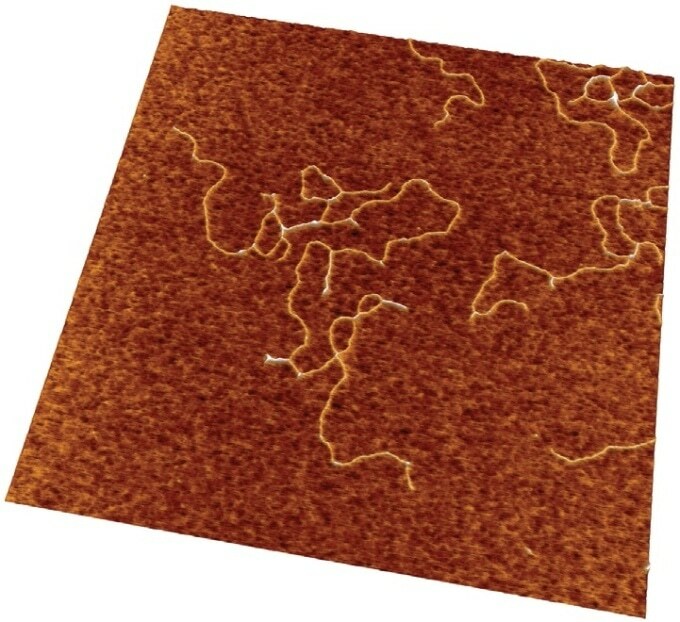 The stability of the mechanical path between the sample and tip sets the limit on AFM resolution. 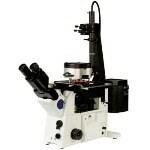 The unique tripod support of the Infinity head makes this path stiffer and shorter than other large-sample AFMs. Infinity attains a noise floor of <20 pm - at least 33% lower than other large-sample AFMs. 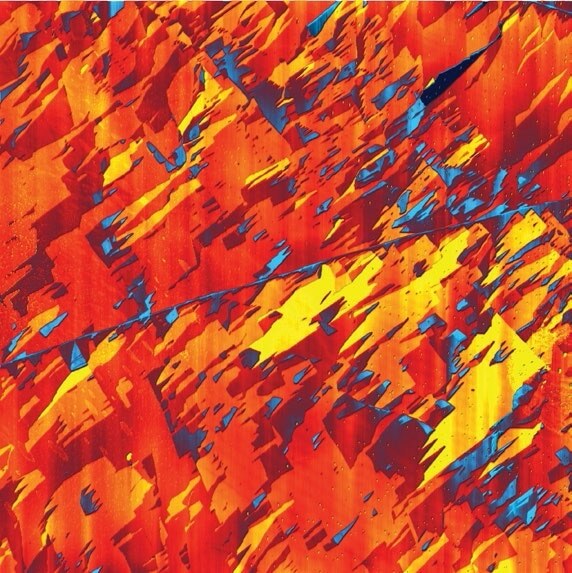 Atomic lattice resolution on calcite - imaged in tapping mode in water, 8 nm scan. Electronic noise sources have been carefully identified and then eliminated. 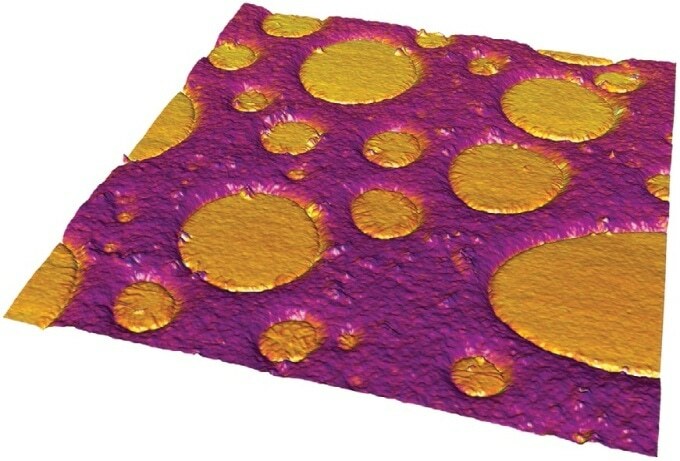 Performance is enhanced by keeping the most critical electronics close to the AFM. Careful electronic design prevents periodic artifacts that could be confused with real features or obscure fine details. 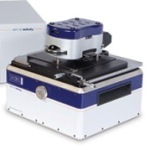 Infinity employs Asylum’s latest generation of proprietary linear variable differential transformer (LVDT) position sensors. These sensors have greater stability compared to strain gauge and capacitive sensors and do not need routine calibration, as well as providing exceptional low-noise performance. Infinity includes a custom-engineered acoustic isolation hood and high performance active vibration isolation. Besides improving performance, the side-swinging door provides a safe, ergonomic, user experience, while the integrated accessory expansion module bay decreases clutter and allows accessories to be used without compromising isolation. Simple to Use. Dependable and Robust. ModeMaster helps you get a quick start. Only a few of the many modes are shown here. DNA on mica - imaged in air using tapping mode with GetStarted, 2 μm scan. 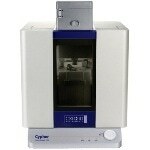 Built to survive the rigors of daily use and multiple users in central microscopy facilities and various other multi-user labs. Just because it's precision instrumentation doesn't mean it has to be delicate. There are no piezo tubes or other components that are easily broken by occasional mishandling. 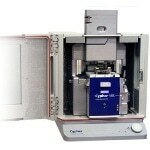 Asylum AFMs do not need routine scanner calibration. Asylum AFMs have a remarkably low rate of failures, even throughout a long lifetime of heavy usage. 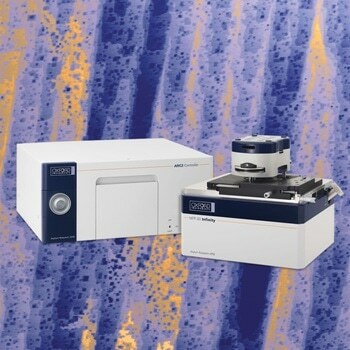 The MFP-3D Infinity accessories are carefully designed to provide unique capabilities while maintaining ease of use and AFM performance. Many have been designed in collaboration with customers to ensure they meet the practical requirements of real research applications. 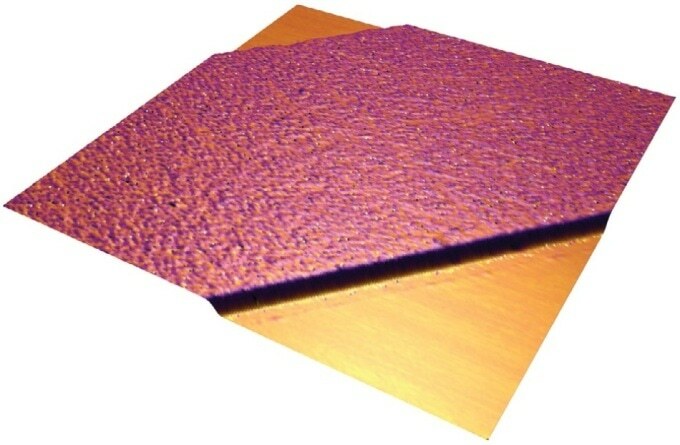 Magnetic skyrmions in Co-based thin film pads imaged with MFM under out-of-plane magnetic fields applied with the VFM3. Each pad is ~900 nm in diameter. Images courtesy of K. Bouzehouane, Unité Mixte de physique CNRS, Thales, Univ. Paris-Sud, Université Paris-Saclay, France. 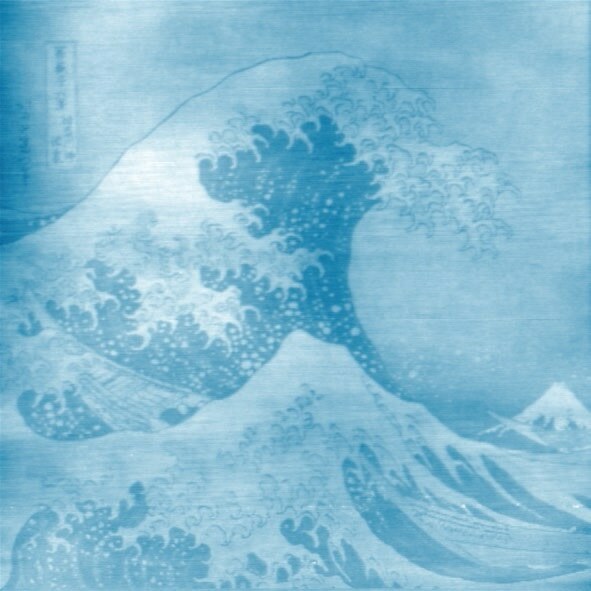 Anodic oxidation on silicon was used to print this “nano-lithograph” of Hokusai’s 19th century masterpiece The Great Wave off Kanagawa. The Humidity Cell was used to maintain optimal conditions. 30 μm scan. 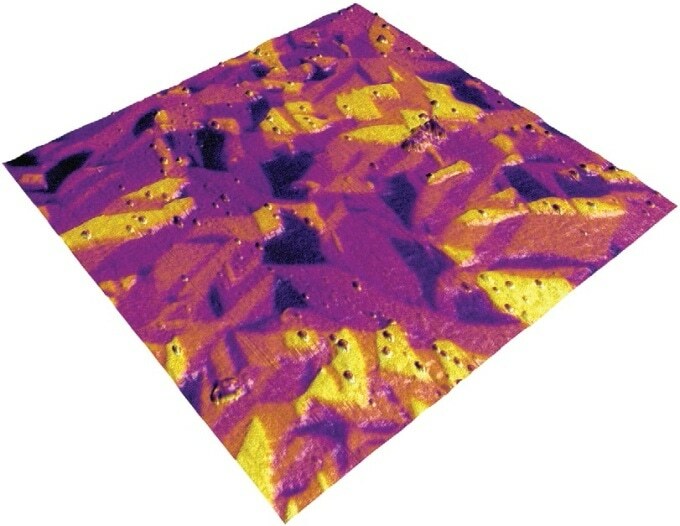 CdSe on indium tin oxide (ITO) imaged with conductive AFM, showing current on 3D topography. The PV option was used to irradiate the sample with 0.9 W/cm2 intensity light only during the middle of the scan, inducing the measured photocurrent (blue strip). 2 μm scan. 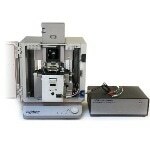 There is no single best nanomechanical technique for each application. Polypropylene (E"~2 GPa) - polystyrene (E’~3 GPa) blend imaged using AM-FM mode. 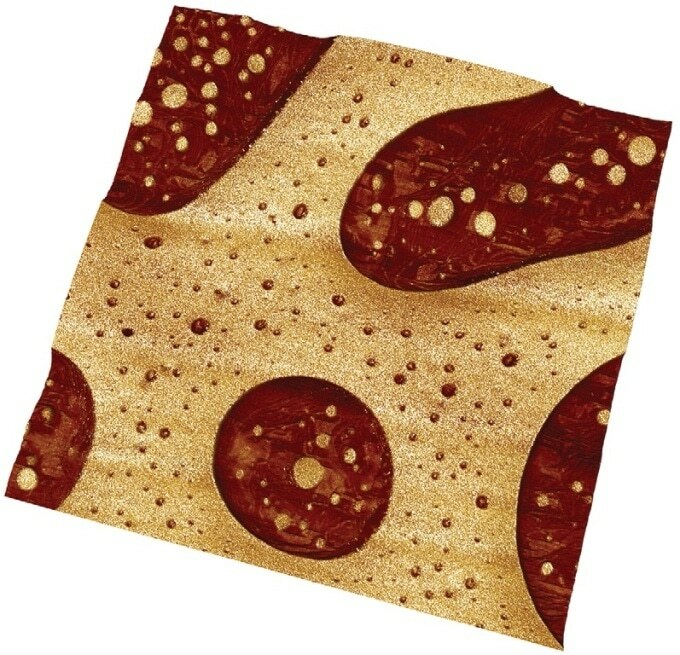 Elastic modulus is shown on 3D topography, 8 μm scan. 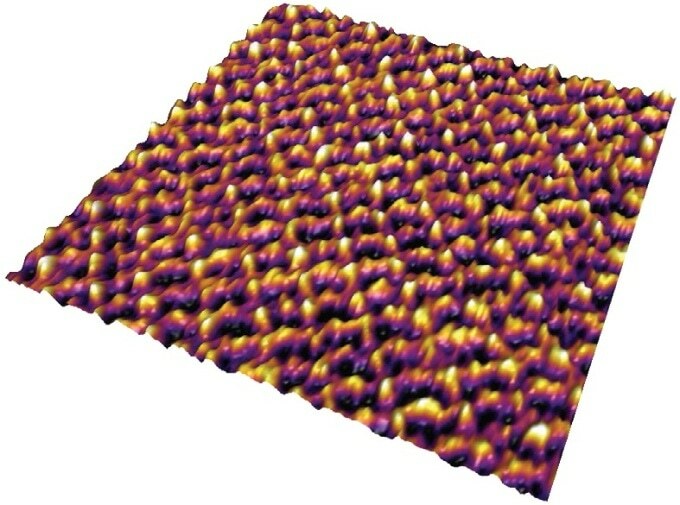 Titanium (E’~110 GPa) thin film on silicon (E’~160 GPa) imaged using Contact Resonance Mode. 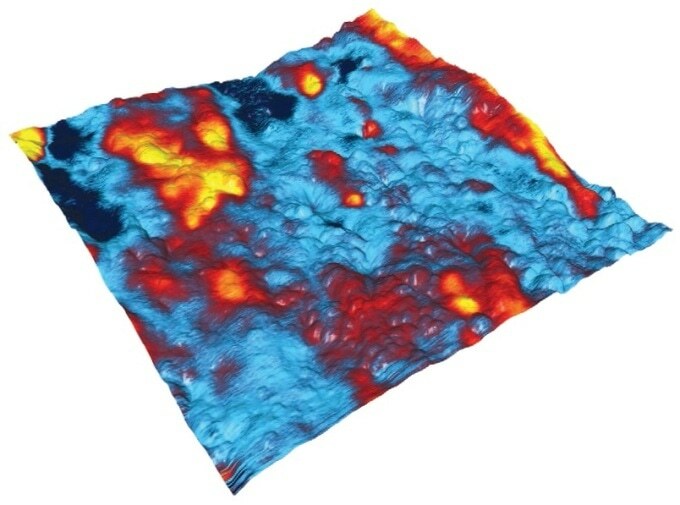 Elastic modulus is shown on 3D topography, 10 μm scan. Real-time and offline analysis models can be employed for calculating adhesion, modulus and other properties. Models are completely accessible by users for modification and verification. Polystyrene (E’~3 GPa) - polycaprolactone (E’~350 MPa) blend imaged with Fast Force Mapping Mode. 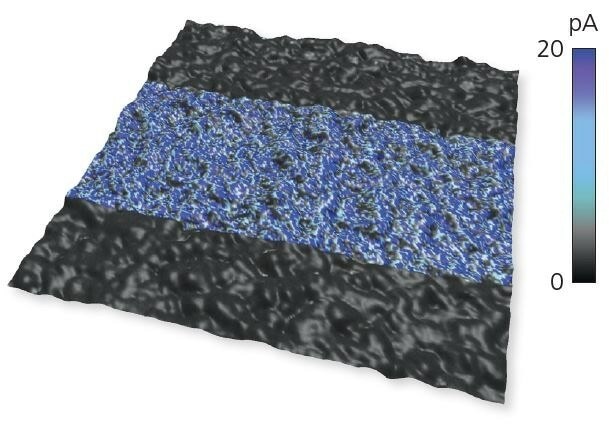 Elastic modulus is shown on 3D topography, 4 μm scan. 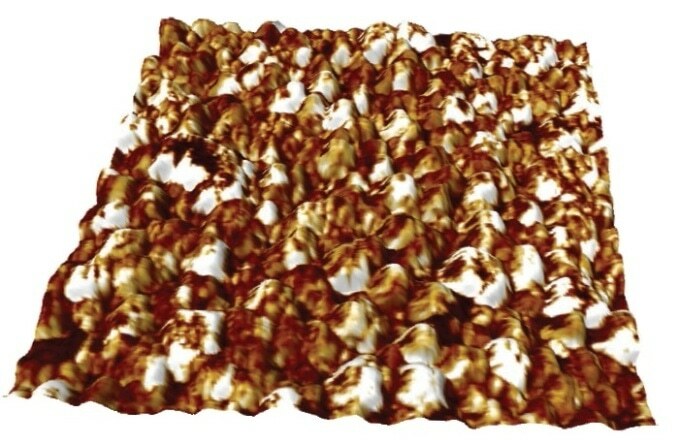 KPFM image of a carbon-impregnated polyolefin film, 3 μm scan. CAFM image of europium-doped ZnO sample, 2 μm scan. Sample courtesy of the Krishnan Lab, Univ. of Washington. 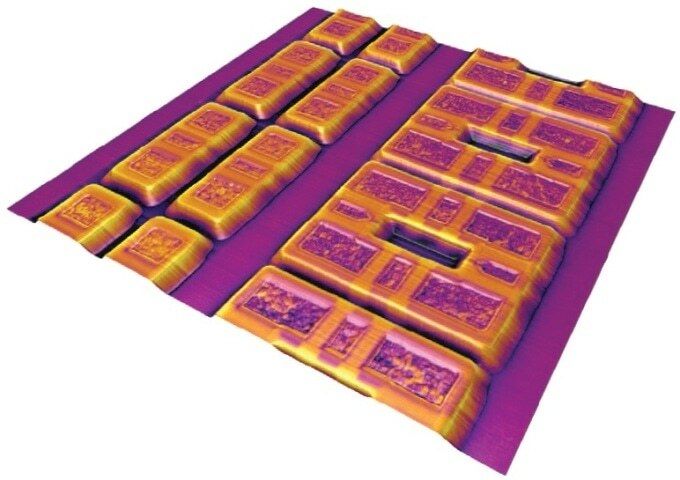 sMIM DC capacitance image of an SRAM sample, 30 μm scan. PFM amplitude image of a lead magnesium niobate-lead titanate (PMNT) film, 6 μm scan. Cantilever deflection sensing employs an inverted configuration (incident beam off-vertical) to dramatically lower interference from light reflected by the sample. A custom enclosure completely incorporates both acoustic and vibration isolation, part of the Infinity controller electronics and the accessory expansion module bay. Vibration isolation Active vibration isolation offers superior damping without the instability and compressed air needs of passive isolation tables. 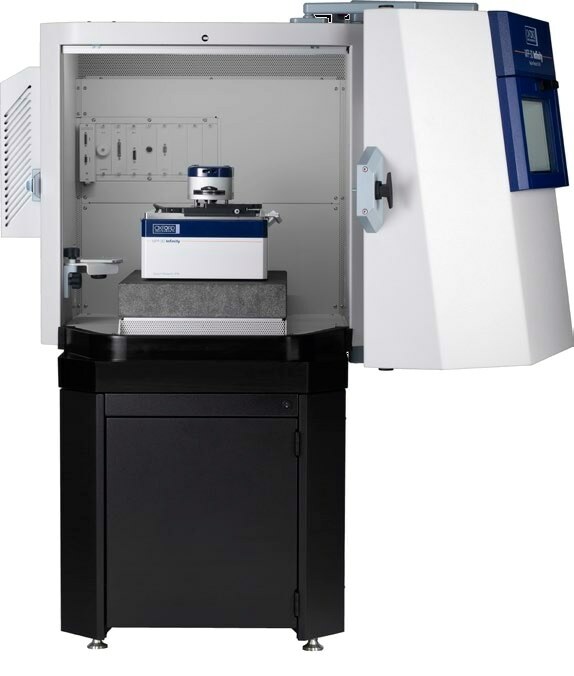 Acoustic isolation Design provides effective isolation of acoustic noise in typical labs. Ergonomics The door of the enclosure easily swings to the side in order to open and is reversible to accommodate various laboratory floor plans. 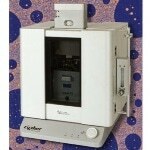 A smaller access window allows users to reach into the enclosure in order to make adjustments. 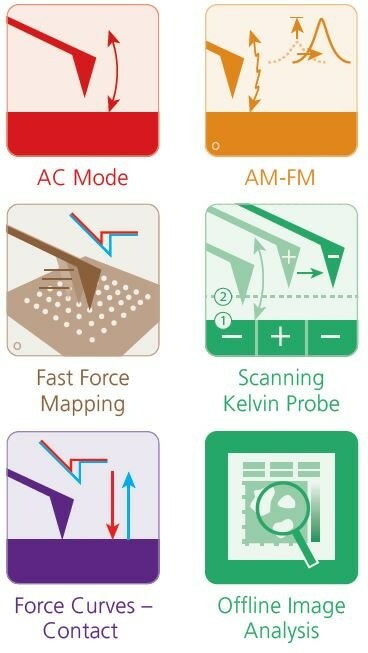 Contact mode; Dual AC™; Dual AC Resonance Tracking (DART); DART™ PFM, Electrostatic force microscopy (EFM); Force curve mode; Fluid imaging; Force mapping mode (force volume); Force modulation; Frequency modulation; Kelvin probe force microscopy (KPFM); Lateral force mode (LFM); Loss tangent imaging; Magnetic force microscopy (MFM); Nanolithography and nanomanipulation; Phase imaging; Piezoresponse force microscopy (PFM); Switching spectroscopy PFM; Tapping mode (AC mode); Tapping mode (AC mode) with Q control; Vector PFM. AM-FM Viscoelastic Mapping Mode; Band Excitation; Conductive AFM (CAFM) with ORCA™ and Eclipse™ mode; Contact Resonance Viscoelastic Mapping Mode; Current mapping with Fast Force Mapping; Electrochemical Strain Microscopy (ESM); Fast Force Mapping Mode; High Voltage PFM; iDrive™ (magnetically actuated AC mode in liquid); Nanoscale Time Dependent Dielectric Breakdown (nanoTDDB); Scanning Thermal Microscopy (SThM); Scanning Tunneling Microscopy (STM); Ztherm™ Modulated Thermal Analysis.